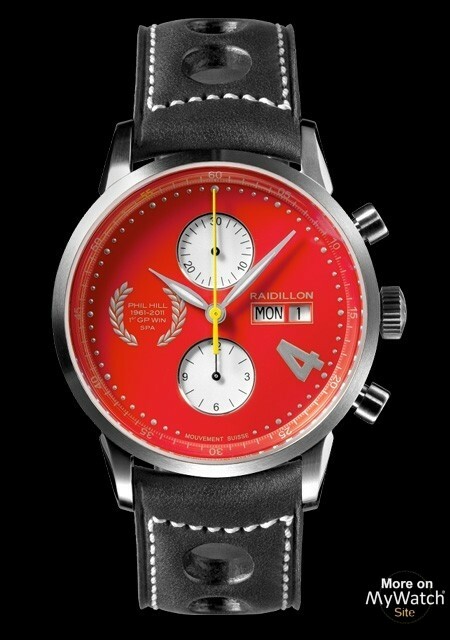 Spa 2011 - Raidillon Watches unveils its tribute to motor racing legend and 1961 Formula One World Champion, Phil Hill, as the 2011 Grand Prix season opens next week in Melbourne, Australia. 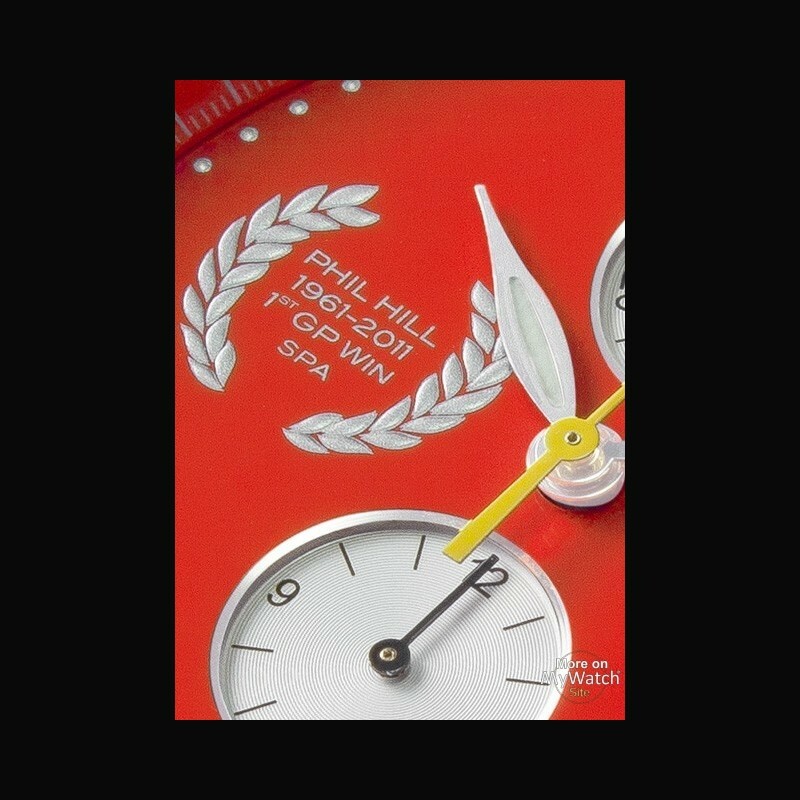 This Phil Hill signature edition collection of three Raidillon chronographs is designed to commemorate American race car driving legend Phil Hill’s 50th anniversary 1961 Belgian F1 Grand Prix win at Spa-Francorchamps circuit. The same year, Hill, driving a Ferrari 156 ‘sharknose’ won the F1 Driver’s World Championship title and remains to this date, the only American-­‐born driver to have won an F1 World Championship. 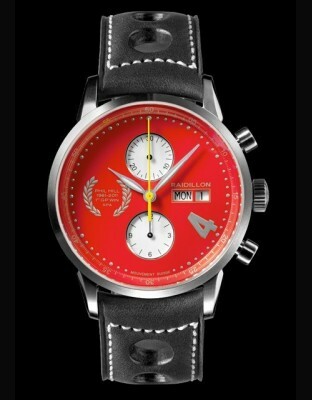 Each of the three Raidillon Phil Hill collection models is a 42mm automatic chronograph. 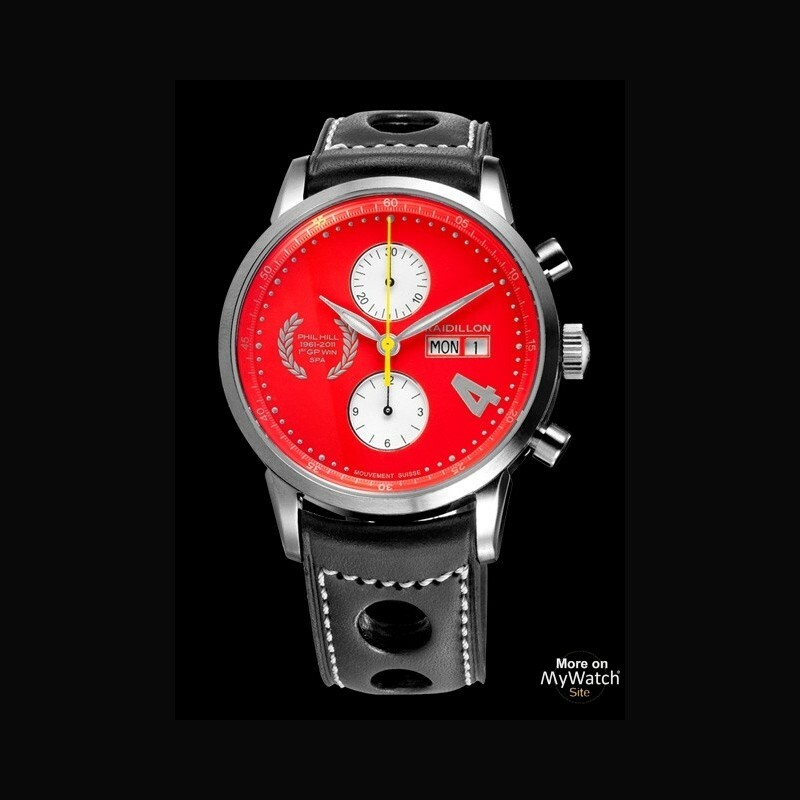 Raidillon offers three different dials; red, white and aluminum bouchonné. 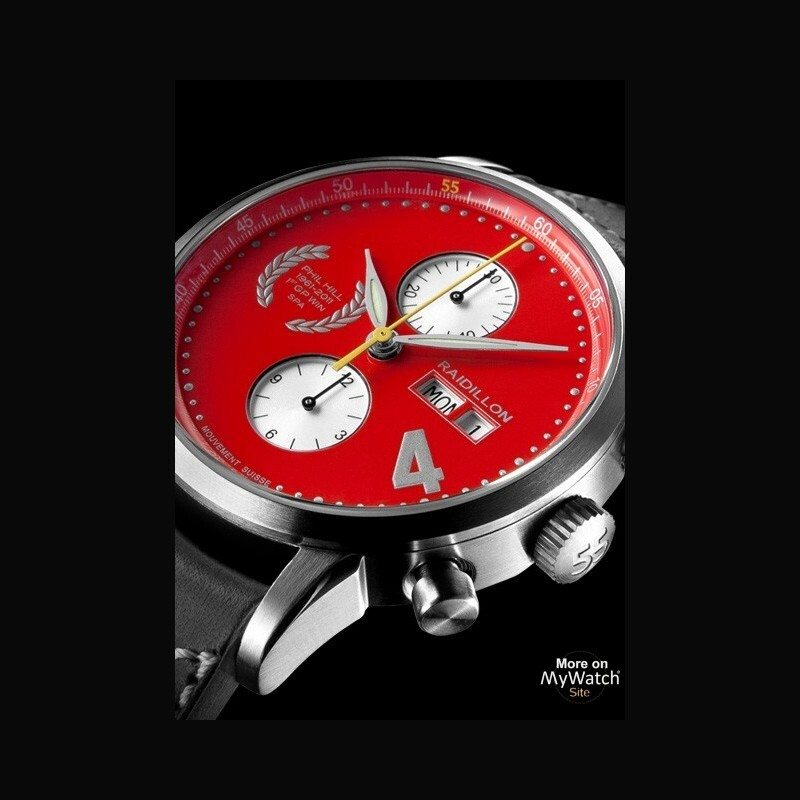 The No.4 race car number carried by Phil Hill’s Ferrari when he won the Belgian Grand Prix at Spa in 1961 is decaled on the dial with a laurel crown and inscription “Phil Hill 1961-­2011 Spa 1st GP Win” indicating Phil Hill’s first win at Spa F1 GP fifty years ago. 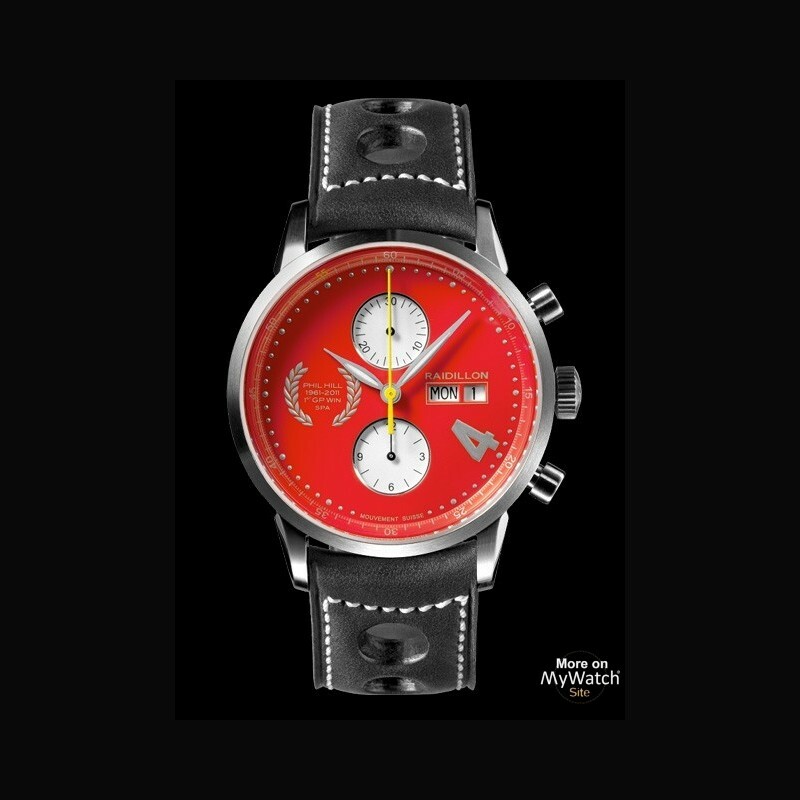 Each model is a limited edition of 55 pieces. 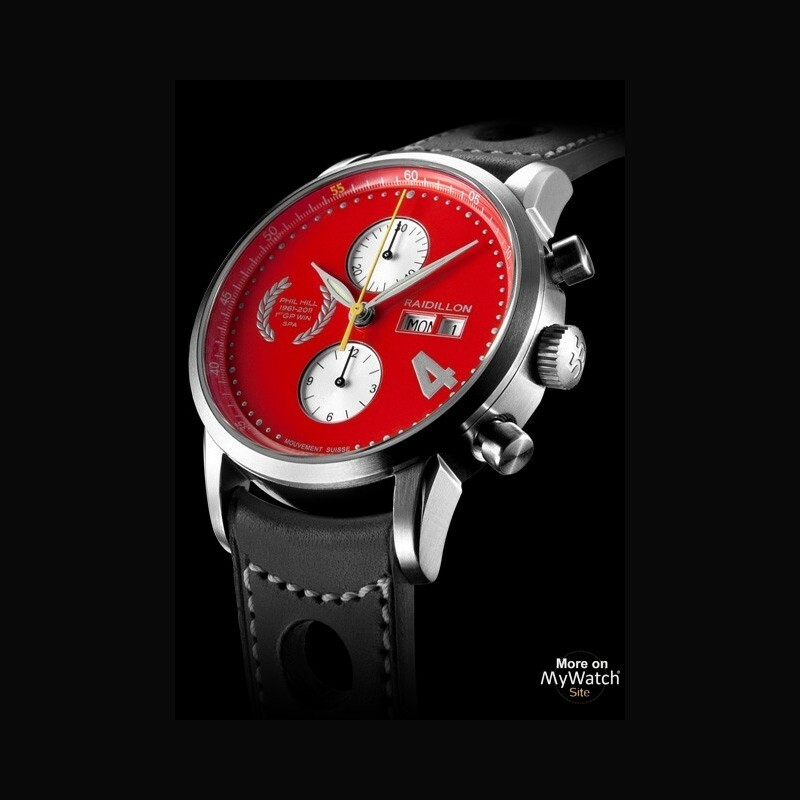 “I'm very pleased to see that Raidillon had the desire to launch a collection of watches to commemorate my father's historic win at the Belgian Grand Prix 50 years ago,” announced Derek Hill, son of legendary Phil Hill. “Spa is a special memory for me, since it was the first European F1 GP that my father took me to when I was younger, where I'll never forget meetng Ayrton Senna the year before he died. My father loved Spa and always had great stories about the dramatic moments he had while racing there” Hill continued. The Raidillon Chronograph brand name celebrates the fastest, most difficult corner in the world of motorsports at the Spa-Francorchamps circuit in Belgium. Racing legends such as Ayrton Senna, Michael Schumacher, Jacky Stewart, Phil Hill, Mario Andren, and other celebrated drivers have consistently rated the Raidillon as a spectacularly fast, extremely challenging racing landmark. With a top speed approaching 200 mph, the name Raidillon guarantees adrenaline.